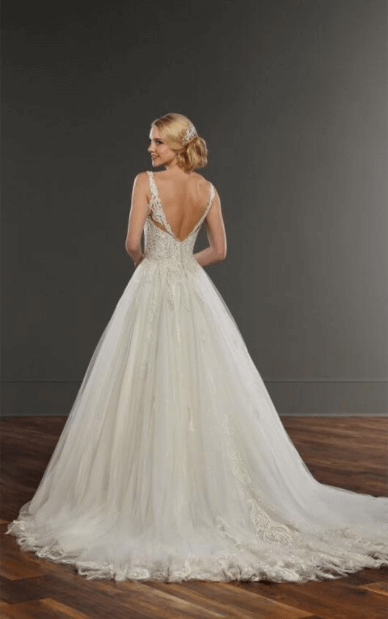 BRAND NEW, UNALTERED Martina Liana wedding dress available Feb 2018! I purchased this beautiful wedding dress for my upcoming wedding in the summer, however have decided to sell it as we've switched locations and the dress sadly no longer suits the venue. 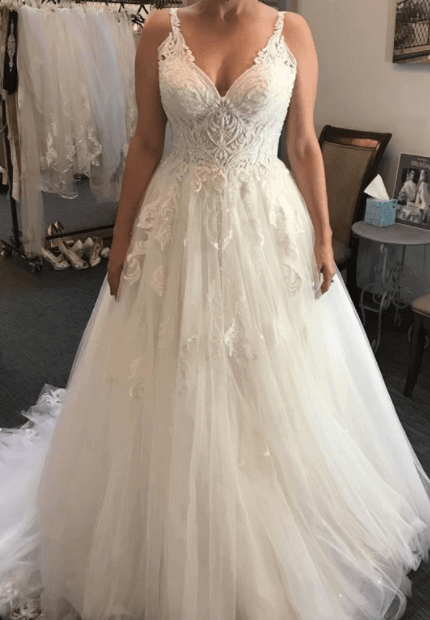 It's truly a GORGEOUS gown and is 100% brand new as we still haven't even received it! 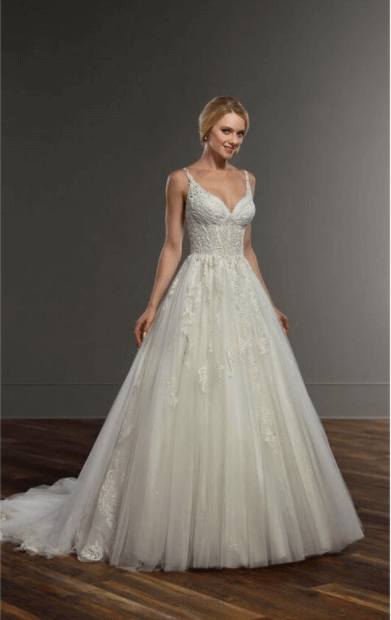 The cut is very flattering and has a romantic feel with the lace, aplique and beaded details. This is a great opportunity to get a brand new gown in just 2 months! Please find all details below! Description: beaded lace bodice with sweetheart neckline and spaghetti straps. The skirt is a princess style but not overpowering due to the airy fabric. The back is breathetaking with the unique strap details, v-neck back and gorgeous embroidered train. Bridal Size: 12. I'm a street size 8 however ordered it a size larger as suggested by the store.